Hubei Province in China is laced with lakes and rivers, including the mighty Yangtze. Under China’s latest Five-Year Plan, remediation of surface water is being prioritized. At the very center of Central China lies Hubei province, a region defined by its water bodies. The very name Hubei means “north of the lake,” referring to Dongting Lake. The region, heavily laced with bodies of water, is home to the massive Three Gorges Dam, which at about 600 feet tall and 8,000 feet wide is the largest hydroelectric power plant in the world. 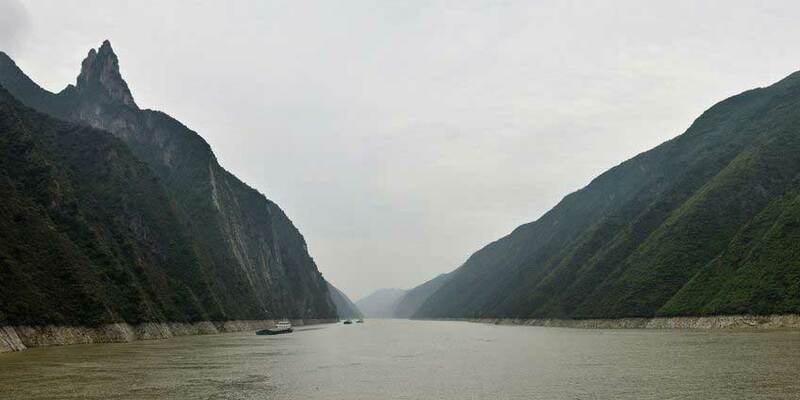 The Yangtze River, the third longest river in the world, flows through Hubei and its capital city of Wuhan, and on through Huangdong and Huangshi. It is one of the world’s busiest rivers, providing transportation and water for 400 million people over 2 million km2. As in much of the People’s Republic of China (PRC), however, all is not well with Hubei’s water resources. But the latest of the central government’s Five-Year Plans (FYPs) has sent officials into a flurry of action to meet ambitious goals of green growth and the restoration of polluted rivers and lakes. Fluence has stepped into this huge, fast-paced market — once solely the domain of industrial water giants — with its compact, agile solutions to wastewater treatment problems. In the past, the PRC may have approached such a problem with costly, cumbersome large-infrastructure projects, but FYP deadlines demand quick action. The highway system in Hubei province needed a solution to deploy in areas around the capital of Wuhan, and it needed it quickly. Only five months after Fluence unveiled its new Aspiral™ Smart Packaged wastewater treatment units, featuring revolutionary membrane aerated biofilm reactor (MABR) technology, it closed a deal worth $45 million over three years with its PRC partner, ITEST. For the project, Fluence is manufacturing Aspiral units at its manufacturing facility in Jiangsu. Over two years, approximately 80 plants will be commissioned along the major highway system in Hubei province, which ITEST supervises. Chinese highways must have a service area approximately every 50 km, and such service areas must treat an estimated 200-600 m3d of wastewater to meet the PRC’s stringent Class 1A effluent standards. To start, Fluence 20-foot Aspiral S1 containerized units will treat up to 75 m3/d of wastewater at five toll stations in Honghu and Huangshi City. And Fluence 40-foot L4 units will treat up to 200 m3/d at two parking areas and three service areas on the highway in Honghu and Huangshi, and at seven service areas along the Hangrui (G56) and Huyu (G50) Expressways. These projects have already started to be delivered in January 2019. Wastewater treatment along the highways will help restore water quality in the area thanks to Aspiral’s high effluent quality. And, high-quality wastewater treatment will help preserve ecotourism centered on the oceans of lotus blossoms floating on the surface of Honghu Lake, the largest lake in Hubei, and nurture the fish and the surrounding rice fields. China’s water future is central to its latest FYP, which was rolled out in 2016. It features an unprecedented focus on greening and rural infrastructure, and even appoints an administrator to monitor water quality for each of its rivers. The FYP calls for an increase in wastewater treatment from 15% in 2017 to 70% in 2022, a dramatic change that speaks to how the Chinese government has begun prioritizing the environment and quality of life issues. With pressure mounting to hit ambitious targets before impending deadlines, PRC officials have been extraordinarily open to new technologies, sidestepping past mistakes associated with mega-infrastructure. Yet this openness only extends to mature technologies, especially those with local reference plants up and running to prove their worth. Moreover, human trust relationships rival technology in the PRC business landscape, and China is becoming more competitive for equipment sales due to pricing and local support. Limits on foreign involvement in projects give products manufactured within the PRC a significantly larger opportunity. Fluence has adapted to this landscape by setting a foundation of local manufacturing and local representation. To establish the type of business relationships highly valued by the Chinese, Fluence took time in 2016 and 2017 to set up an infrastructure to meet client expectations, giving the company an edge over competitors. Fluence also has a technological edge with its groundbreaking Aspiral plants, which require minimal infrastructure and commissioning time, and have low operation and maintenance needs. Above all, Aspiral produces a very high-quality effluent. This first-large volume commitment to order Aspiral™ is further evidence that our systems are an ideal technology for the stringent requirements of Chinese rural wastewater treatment, and we will continue to target this market with this and other partners across the country, for various applications.